Where is Ho Chi Minh - Tan Son Nhat Airport? How to move to Tan Son Nhat Airport? Check-in procedure? What are the services of Tan Son Nhat Airport? 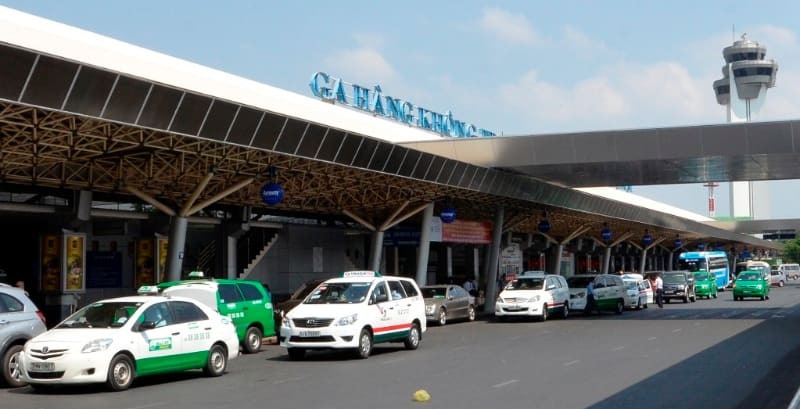 In this blog, DiChungTaxi will help you answer those questions and give you the latest information about Tan Son Nhat International Airport. 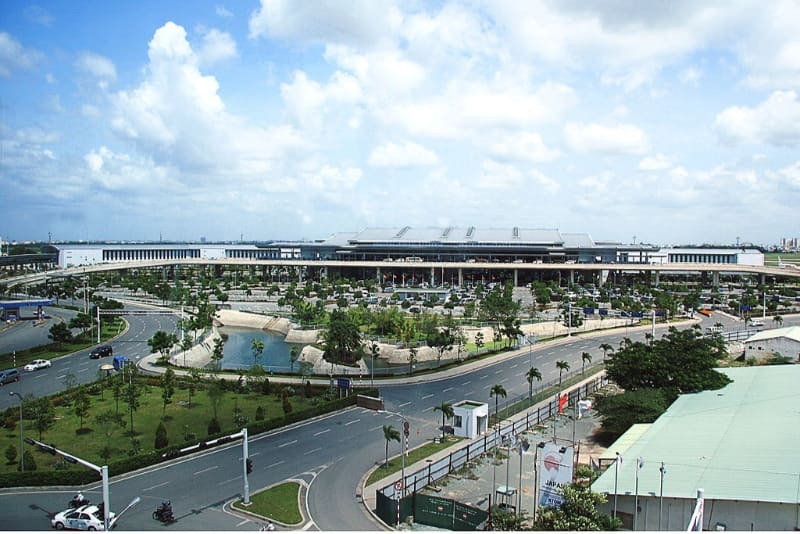 Tan Son Nhat Airport (Sân bay Tân Sơn Nhất) is one of the three largest international airports in Vietnam, it is an important traffic hub of the south. Located in Tan Binh district, 8 km far from the north of Ho Chi Minh city, with an area of 850 hectares, Tan Son Nhat Airport is the most busy airport in Vietnam. The airport code is SGN (IATA code) and VVTS (ICAO code). 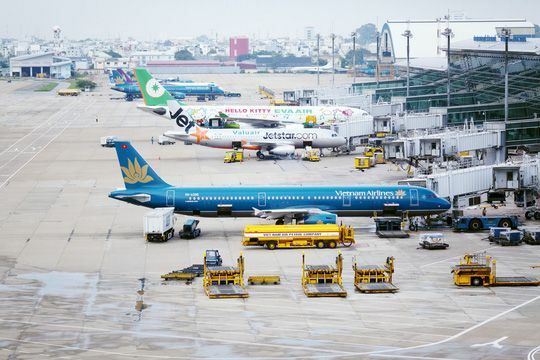 Tan Son Nhat Airport has two passenger terminals: Domestic Terminal with an area of 40.048m2 and International Terminal with an area of 93.228m2. The maximum capacity is over 13 million domestic passengers and 12 million international passengers per year. Tan Son Nhat Airport is also equipped with security, modern equipment, safe navigation, road system, parking lot and garden. 4. Play area: Children's play area is located on the second floor of the isolation, international terminal (departure). 9. Seat & Sleep Service: While waiting for the flight, passengers can rest in this area or rent a rest room located on 2nd floor of the isolated, departure international terminal, near gate 21 - 22. For Domestic terminal: Passengers are present at the airport at least 60 minutes before the flight to carry out procedure. The procedure counter will close 40 minutes before the flight. For International terminal: Passengers are present at the airport at least 120 minutes before the flight to carry out procedure. The procedure counter will close 50 minutes before the flight. The counter D1, D2, D3 are located in 2F, 2nd floor of Tan Son Nhat Airport terminal. To move to Tan Son Nhat Airport, passengers can choose from motorbikes, buses, coaches and airport taxis. The three buses 152, 109, 119 with the price from 6.000 to 12.000 VND/trip. Only bus 49 is not subsidized at 40.000 VND/trip. - Motorbike or car: You can park your vehical at the Tan Son Nhat Airport's parking lot with the price from 5.000 to 10.000VND for motorbike, 10.000 - 30.000VND for car.